The ProStores software is shutting down, so time to think about a decent substitution. So, why don’t we take a look at Shopify, a very popular shopping cart on the market and check out whether it will be a good fit for your store. Shopify is a hosted platform, similarly to ProStores, and it’s powering over 100,000 e-shops worldwide. It is an ideal choice for novice retailers due to its ease of use. It also is beneficial for those who are running a brick-and-mortar store and willing to connect it to the online store thanks to its Point of Sale feature. Another thing that makes Shopify a really desirable cart is the design. It offers over 100 of templates to all tastes, plus tons of themes, both free and paid. Experts claim that some of Shopify’s free themes are way better than the premium ones of other shopping cart solutions. Another great feature about the Shopify store appearance is that practically everything is customizable, moreover – you don’t need to be a god of web design to make your site look totally the way you want. Therefore, if having an online store that would have a breathtaking appearance sounds good to you, you may seriously consider Shopify. This e-Commerce platform takes care not only of the frontend, but also focuses on the backend to make it as clean and intuitive as possible. You’ll be able to quickly find your way around the new Shopify store, adding and organizing products, managing inventory, creating and managing customer groups etc. The learning curve is really moderate, so after a few hours you’ll be comfortable in your online “home”. Is It really Lacking Functionality? Shopify is sometimes blamed by critics for including not enough advanced features into the package. It might be true, but this is what makes the platform so easy to use. On the other hand, Shopify boasts one of the biggest number of extensions found in its AppStore compared to other carts, so you only need to find what functionality you need and use it, nothing complicated. You’re certainly concerned about how well Shopify can deal with your eBay store. Definitely, it is not so well fitted for this task as ProStores, which is unique in this matter, but it does a good job. Via a convenient import app, you can easily import your eBay products to the store together with their variations and stuff, so integration will not be an issue at all. 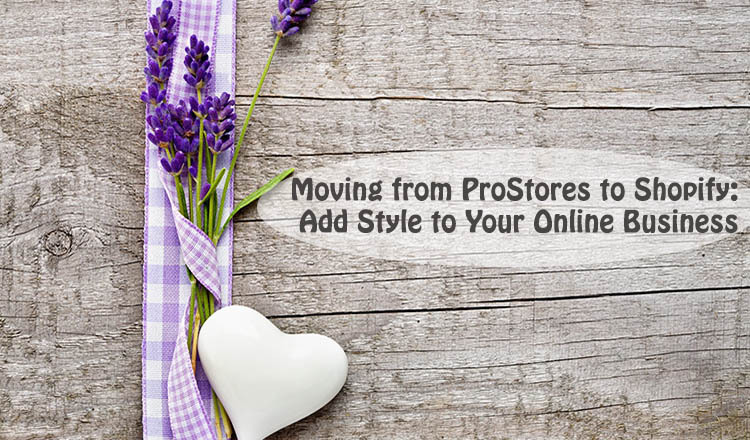 You’ve got the “alternatives” question answered, and now wondering, how to migrate your data from ProStores to Shopify? Just check out the infographic below and you’ll find out how to do the move with the least time and effort investments. As you now see, the migration from ProStores to Shopify is a piece of cake with Cart2Cart. Don’t waste your time, set up the free Demo migration to see how easily your data will be moved to the new “e-home”.